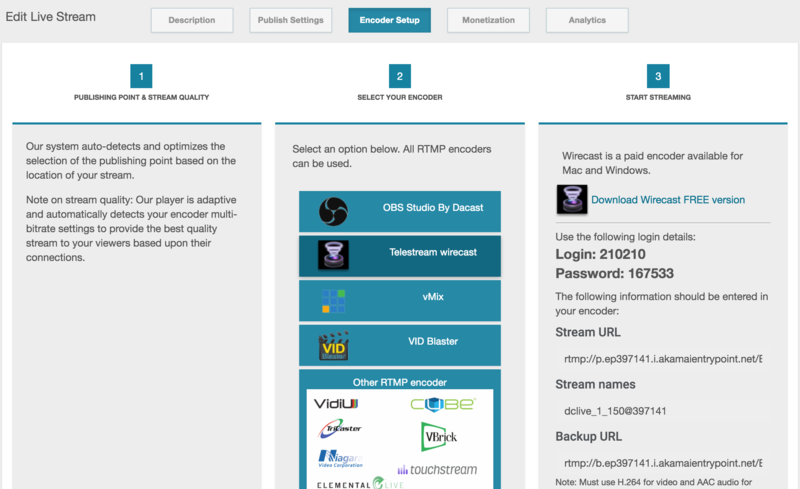 Telestream just release the new version of his encoder software, Wirecast 9. Please note that an internet connection is recommended for Wirecast 9 license activation. A Wirecast 9 license will automatically update at no cost after download for Wirecast 8 users if standard maintenance and support is current. Wirecast 9 comes with a number of notable new features, updates and improvements, including improved rendering and UI performance, a redesigned user interface with a new “dark” theme, a new way of managing your sources, a faster more convenient way to stream to Facebook pages, and it launches with a brand new custom controller from X-keys, available at most major resellers. To see the list of improvements and fixed click here. 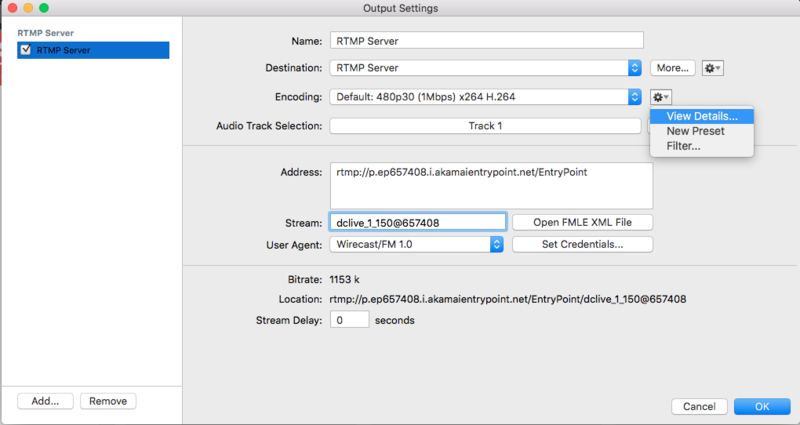 To see the written tutorial about how to live stream with Wirecast 8 click here. It is recommended that an upload speed rate of at least double the selected video bitrate be available, especially for a total target bit-rate of 10 Mbps (Megabits per second) or less, or when there are multiple outgoing streams. First, enter the stream URL and the stream name as shown below. Please make sure that the stream is correctly set up for HTML5. To do this, click on the clockwork icon near the ENCODING drop down and choose EDIT or NEW PRESET. 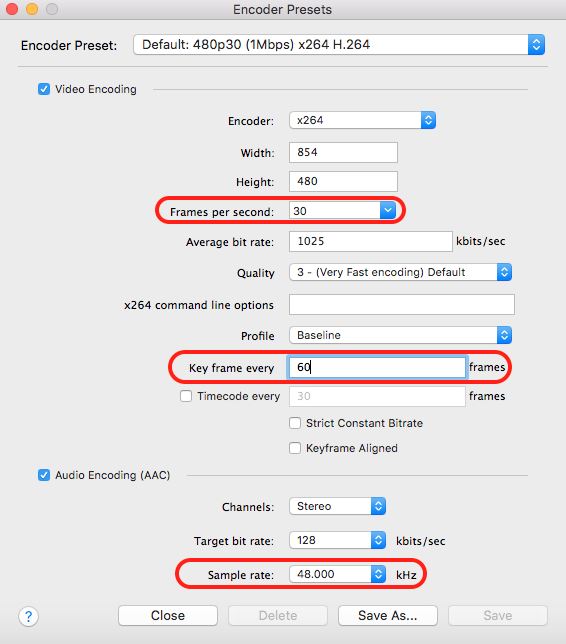 Width, height, Frames per second, Average bit rate: your choice. 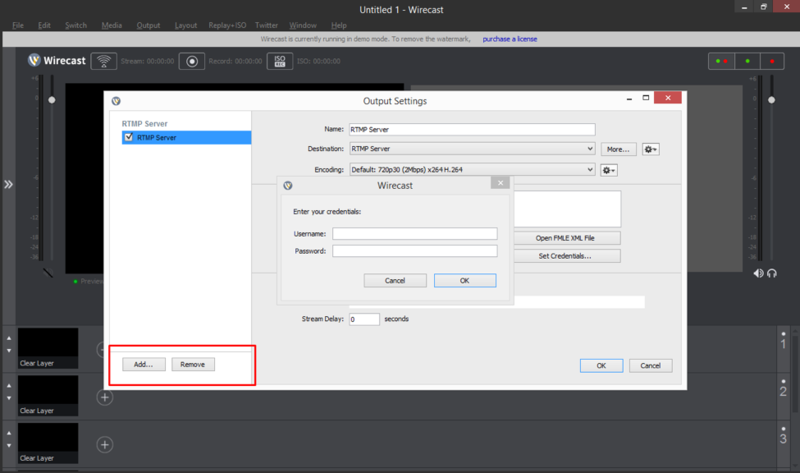 Please be aware that the default settings in Wirecast 9 are HD settings. Make sure the keyframe every (keyframe interval) is equal to 2 times the Frames per second number. Finally, take a look at the following example (60 = 30 x 2). Do not go lower than 24 frames per second. Make sure that the stream is correctly set up for HTML5. To do so click on the clockwork icon near the ENCODING drop down and choose EDIT or NEW PRESET. If you plan on doing a single stream, we recommend a standard definition to ensure that your stream will play for all your viewers. Please note that a standard definition is 480p: 854×480, 500 Kbps – 2 Mbps for video, 128 kbps (stereo) for audio. Do you need help setting up stream? If so, please follow this article which explains how to choose sources, as well as other necessary setup steps.